Ep.1: "Can You Reverse the Curse? (Pt. 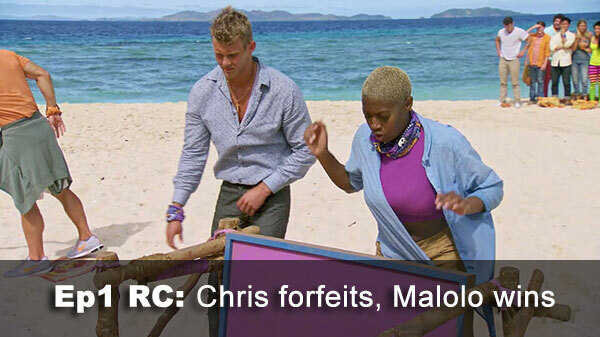 1)"
Ep.1 Reward challenge: "Chief's Choice" - Malolo wins, when Chris pulls the ripcord to preserve Naviti's fishing gear. 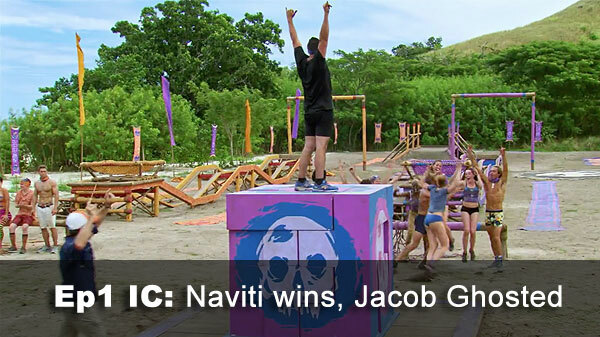 Ep.1 Immunity challenge: "" - Naviti wins, after leading pretty much the whole way. 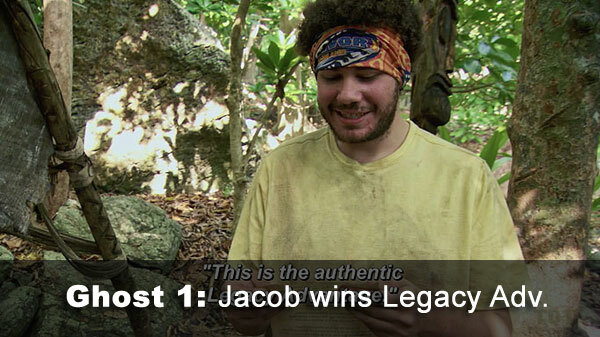 Ep.1 Ghost Island attendee: Jacob, who finds a Legacy Advantage... that he has to give to someone on Naviti. Ep.1 voted out: Gonzalez, 8-1 over Donathan. Notes: Jacob (and Ghost Island visitors at least in the foreseeable future) completely missed Tribal Council. More importantly for scoring purposes, the first challenge was scored as a "Hero challenge" (sort of like a duel) with three participants per tribe. As a Hero challenge, nobody was charged with sitting out. 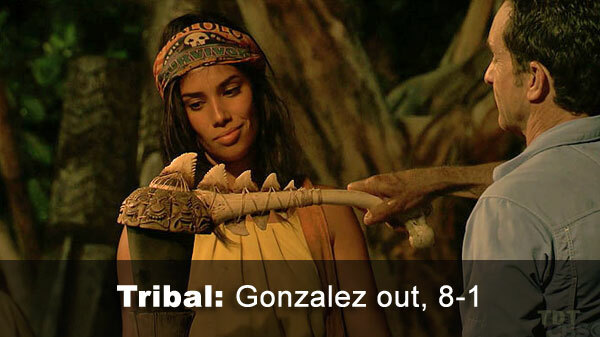 - Gonzalez received 8 votes, from Brendan, Donathan, James, Jenna, Laurel, Libby, Michael, and Stephanie (voted out, 8-1). - Donathan received 1 vote, from Gonzalez.